The Ford Fiesta remained the most popular car model in Great Britain in 2011. The Ford Focus was the second most-sold car in the UK. 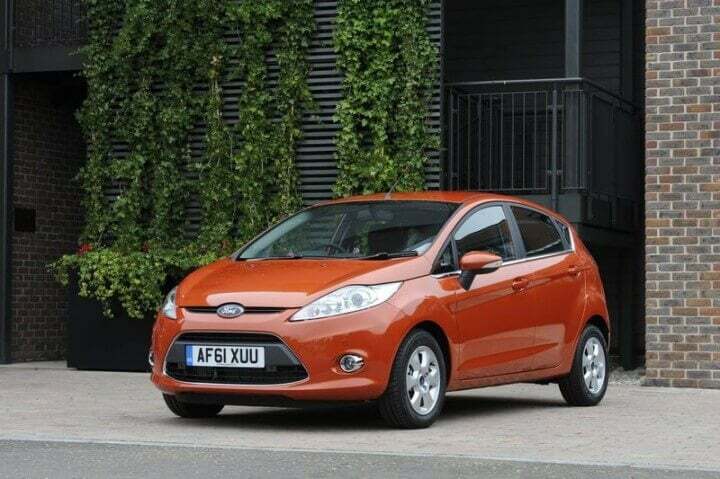 In 2011, or the third year running, the Ford Fiesta was Britain’s favorite car. The Ford Focus regained the second place on the list of the top-selling cars in the UK while the Vauxhall Corsa took third place. The VW Golf was the fourth most popular new car in the United Kingdom in 2011 and the most popular diesel car in Britain. The composition of the top-ten list of best-selling cars in Britain in 2011 remained largely the same as in 2011. The only new entrant on the list was the Vauxhall Insignia while the aging Peugeot 207 dropped out of the top-ten list for the first time in years. The order of the best-selling cars in Britain saw several changes during 2011. The Ford Fiesta remained the best-selling car in Britain despite selling almost 7,000 fewer cars in the UK in 2011. The Ford Focus regained second place from third by selling around 4,000 more cars in Britain in 2011. Vauxhall had mixed fortunes- The Vauxhall Corsa took third place, up from fourth last year, with sales roughly unchanged while the Vauxhall Astra slipped from second by selling almost 18,000 fewer cars. The Vauxhall Insignia was a new entry on the top-ten list in 2011. The Volkswagen Golf improved from fifth to the fourth best-selling car in Great Britain in 2011. This was the VW Golf’s best position ever on the British market. The Golf gained from an increased popularity in diesel vehicles and was the most popular diesel car in Britain in 2011. The VW Polo slipped one rank position from last year despite selling a few hundred more cars in Britain in 2011. The BMW 3 Series maintained its position as the eight most popular car in Britain despite its image of exclusivity. The Nissan Qashqai gained a rank position with slightly more sales in 2011 while the Mini slipped one position by selling nearly 6,000 fewer cars in Britain compared to 2010. The British car market in 2011 was 4.4% down from a year earlier. Ford and Vauxhall were the best-selling manufacturers in Britain in 2011.